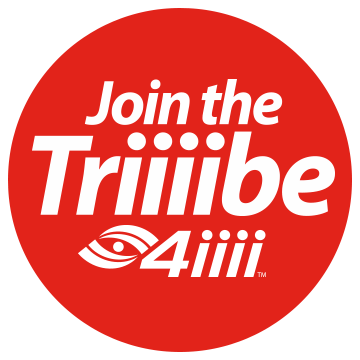 4iiii Innovations 2018 Pro Team Partnerships include World and National Champions and Olympians in all cycling disciplines. For the 2018 racing season, 4iiii will supply power measurement for Pro Cycling Teams from several continents. Included are three of the world’s top women’s professional road cycling teams, all of Canada’s Olympic and Paralympic cyclists, several National champions and two-reigning World Champions in Annemiek van Vleuten and Alban Lakata. This is the third year for 4iiii as a World Tour team technology provider. An exclusive sponsor and supplier relationship with Cycling Canada will provide powermeters and heart rate monitors to athletes in all Olympic and Paralympic cycling categories through the 2020 Olympic Games in Tokyo, Japan. 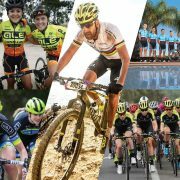 The five professional cycling teams sponsored by 4iiii in 2018 are Mitchelton-Scott, Tibco-Silicon Valley Bank, Ale-Cipollini, Elevate KHS, and new to us this year is our first mountain bike team, the endurance mountain bike squad Canyon Topeak. Mitchelton-Scott (formerly Orica Scott) of Australia has 10 women riders. The team includes World TT Champion Annemiek van Vleuten, who already has a victory in 2018 wearing her rainbow stripes, winning stage two of the Women’s Herald Sun Tour in Melbourne in 2018. Founded in 2011, ALE-Cipollini is an Italian-based team and one of the top five women’s teams in the world. Australian star Chloe Hosking has already added two wins to her record in 2018. “4iiii is a synonym of top quality in sport technology, and a very competitive team needs the best,” says Team President Alessia Piccolo. 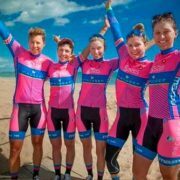 Team Tibco-Silicon Valley Bank, based in the United States, is the longest-running professional women’s cycling team in North America, on a mission to help aspiring female cyclists rise to the top. US-based Men’s road team Elevate KHS is our longest-running sponsorship. They have two Canadian riders, James Piccoli and Jordan Cheyne. Canyon Topeak Racing Team is an endurance mountain bike team of men and women that stars three national champions and three-time and current UCI Mountain Bike Marathon World Champion Alban Lakata. The teams will be riding a variety of 4iiii products including PRECISION PRO dual and PRECISION single-side powermeters. Coaching staff and riders will have the tools and metrics required to optimize their training and race performance. Dual ANT+ and Bluetooth options provide broad device compatibility. 4iiii Innovations and Cycling Canada have formed an exclusive sponsor and supplier relationship that will provide 4iiii PRECISION Powermeters and Viiiiva Heart Rate Monitors to national team athletes in all Olympic and Paralympic cycling categories. The partnership, which extends through the 2020 Olympic Games in Tokyo, Japan, brings together two proudly Canadian organizations dedicated to helping home-grown cyclists top the podium at major events around the world. The 4iiii partnership with Cycling Canada will benefit athletes at both the elite and grassroots levels by providing affordable, world-class technology to a wide variety of disciplines and training programs. “My 4iiii PRECISION Powermeter provides accurate and consistent data, giving me confidence day in and day out,” said recently crowned individual pursuit national champion Kinley Gibson. 4iiii will also collaborate with other Cycling Canada performance partners including Lexus, Argon 18, Louis Garneau and Barista to support and elevate major cycling events across the country. 4iiii Innovations is a leading Canadian sports technology company based in Cochrane, Alberta. 4iiii is a sponsor and product supplier to WordTour teams Quick-Step Floors and Bora-hansgrohe, Canadian Women’s Team Cyclery-4iiii as well as yachting’s America’s Cup Team Oracle USA. Cycling Canada is the governing body for competitive cycling in Canada. Founded in 1882, Cycling Canada aims to create and sustain an effective system that develops talented Canadian cyclists to achieve Olympic, Paralympic, and World Championship medal performances. With the vision of being a leading competitive cycling nation by 2020 celebrating enhanced international success, increased national participation and world class event hosting, Cycling Canada manages high performance programs, hosts national and international events and administers programs to promote and grow cycling across the country. Cycling Canada programs are made possible through the support of its valued corporate partners – Global Relay, Lexus Canada, Mattamy Homes, Louis Garneau and Bear Mountain Resort – along with the Government of Canada, Own The Podium, the Canadian Olympic Committee and the Canadian Paralympic Committee. 4iiii Innovations is again shaking up the increasingly competitive powermeter market with the launch of PRECISION Podiiiium; a rechargeable, low profile crank-based powermeter designed to be compatible with a wide range of cranksets.PRECISION Podiiiium is a major step forward based on the same patent pending PRECISION 3-D strain gauge technology that powers pro cycling teams Quick-Step Floors and BORA-hansgrohe to dominance on the UCI World Tour. PRECISION Podiiiium is designed to support a full suite of dual compatibility not presently available from any other manufacturer. The PRECISION dual configuration is unique in it’s ability to switch to a single-side powermeter on the fly, providing an inherent backup system. Cyclists will be able to enjoy PRECISION Podiiiium Ride Ready dual options starting with Shimano FC-R9100 and FC-R8000. Extensive Factory Install crank compatibility offers the choice of single or dual-side for these models and FC-R6800. Additional models are scheduled to be released in the new year. PRECISION Podiiiium carries forward the well-known PRECISION quality for durable, lightweight and waterproof design that delivers extreme accuracy in all temperatures. An attractive price point puts PRECISION Podiiiium well within reach of those with dual-side aspirations and a single-side budget. • Factory Install options for Non-Drive Side start at $399, and Dual Factory Installs are priced starting at $749. • Ride Ready Dual Options start at $999 including crankset. • For a limited time, eligible FC-R6800 4iiii customers have the option to upgrade their current single-side PRECISION to PRECISION Podiiiium Dual for only $349. 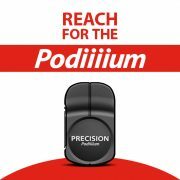 PRECISION Podiiiium will be officially launched on September 20-22 at Interbike 2017 in Las Vegas with market availability to be announced Q1 2018. SAS teams with sport performance power measurement provider 4iiii Innovations and high end bike manufacturer Argon 18 to raise the game for a UCI women’s cycling team. But road cycling is also a team sport, a sport of specialists playing their roles with split-second timing in support of an overall strategy for a stage, a tour, even a season. Climbers force the issue on hilly stages, exhausting competitors who try to keep touch; domestiques, junior riders, create a draft to minimize the effort of the star finishers (or you can use leader), dropping back to fetch water bottles and even giving up their bikes to senior riders with a flat or mechanical issue; all-rounders (“rouleurs”, in French, the language of cycling) chase down opponents’ breakaways, set up sprinters for the final mad dash, and serve as on-course captains when quick tactical decisions have to be made. Each specialty rewards different riding styles, different performance metrics, even different physiques. Collecting and analyzing this data can help a team fit together the pieces of the strategic puzzle in a way that optimizes the use of team resources for a competitive edge. That’s exactly the approach taken by SAS-MAGOCEP-ACQUISIO (SMA), the only professional Canadian women’s team with a license to race internationally, on the UCI Women’s World Tour. SMA is using state-of-the-art sensors and analytics software to fuel its rise though international (UCI) cycling ranks, with eyes fixed firmly on the coming 2020 Olympic Games. Sports analytics software from SAS, which collects extensive data on rider performance, physiological and psychological data, and more, allowing coaches, trainers and the athletes themselves to discover patterns and connections to develop training plans and support strategic decisions. “Most of the decisions by the team management, coaches and athletes were based on feelings and sensations… with all of the sophisticated sensors, technology, and knowledge, today’s analytics is way more sophisticated than it used to be. For a cycling team, this is gold.” Pascal Hervé, Mentor of the team, retired French professional rider. Getting athletes and coaches to share that sensitive data for analysis by an outside firm like SAS can be difficult, says Martin Lesauteur, who collects, cleans and preps data for analytics for the team. “If you look at the Tour de France, nobody’s sharing anything,” Lesauteur says. Data can be used as a weapon—collect enough of it and you can reverse-engineer the athlete, probing weaknesses to be exploited. SAS’s relationship with SMA—it’s the team’s biggest sponsor in terms of technology and cash investment—provides a level of comfort for everyone involved. A self-described “obsessive-compulsive cyclist” — “I’m so scared that when I die, my wife is going to sell my bikes for what I told her I paid for them,” he grimaces—Lesauteur has been collecting and analyzing data about his own cycling performance for years. He brings a wealth of self-taught expertise to the sophisticated tools on offer from SAS and 4iiii (as well as roadside mechanical expertise at some races). Correlating performance data, physiological data, and profiles of upcoming races can optimize a rider’s training plan. It can also help ward of the insidious threat of overtraining—athletes can drive themselves beyond the point where their muscles and aerobic systems can recover for upcoming races. One SMA rider’s overtraining pattern cost her a month on wheels, and several months until full recovery. The data was pointing to overtraining, but the athlete didn’t feel it physically until it was too late. “That’s an example of measuring an athlete on an individual basis, but the impact on the team was huge because she was one of our best athletes, and we lost her for three weeks to a month,” says Lesauteur. And the program is about the team as much as it’s about individual racers. Data can help the team make roster decisions for a given race to give the team the best chance to win. Power output, revolutions per minute, heart rate, GPS data, fatigue, pedaling cadence, watt-to-weight ratio—all this data and more is poured into training profiles and race-day decisions, says rider Emma Bedard. “If you have a specific type of race, for instance if you know it’s a hilly race versus a flat race, or whether it’s an endurance event versus a shorter punchy race, it helps select the type of athletes that are perhaps better-suited than others for certain courses,” says Bedard, a former triathlete who switched to full-time cycling because of a nagging hip injury. Data can match the right racer to the right terrain with the right fatigue curve, helping determine the role of each athlete within an overall race strategy, says SMA coach David Duluth. For example, the data can pick out a racer capable of endurance riding, but not at peak speed, and pair her as a “leadout” rider for a sprinter, pulling her teammate to that crucial juncture where she can take over the race. On the other hand, data can identify that top-speed rider to put at the end of the leadout train. Data can also help guide recruitment efforts, says Lesauteur. It can identify riders to fill specific roles—a sprinter, a climber, a junior rider to be groomed for a starring role while serving as a domestique. The team can then focus on promising additions to add depth or complement other riders and the team as a whole. It’s a far cry from 20 years ago, says Pascal Hervé, a retired French professional rider who serves as a mentor to the team. Hervé has an impressive European road racing resume, with multiple appearances in the Tour de France, Vuelta a España and Giro d’Italia, along with the 1992 Summer Olympics. In the 1990s and early 2000s, teams relied on hospital tests for maximum oxygen capacity (VO2 max) and lactate buildup. It could take days or weeks for test results to be returned, and they were analyzed by people who “did not have a clue” about cycling, Hervé says. Data touches virtually every element of a cycling team’s corporate strategy. On race day, though, it comes down to the riders. And while technology can provide feedback on a huge range of performance and physiological factors, one element still eludes measurement in real-time: the athlete’s psyche, how she reacts psychologically to fatigue, stress, race conditions, etc. Being able to quantify and monitor such information and overlay it on the data already collected could be a critical differentiator. Sign up and get training tips, product news, and promotions, direct to your inbox.